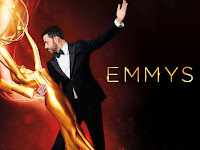 Over the weekend, the 2016 Emmy Awards occurred – and OTT companies Netflix and Amazon Instant Video once again received a solid number of awards and nominations. Aziz Ansari and Alan Yang, co-creators of Netflix’s “Master of None” took home the Emmy for Outstanding Writing in a Comedy Series. After receipt of the trophy, Yang also had some kind words for Netflix. "I think there's great stuff on network, on streaming, on cable," Yang said. "What's great about Netflix, for us, is that they gave us a lot of freedom and trusted us to pursue our personal stories, and that's why they're rewarded with stuff that feels fresh." Netflix also won awards for Outstanding Supporting Actor in a Drama Series (Ben Mendelsohn, “Bloodline”) and Outstanding Writing for a Variety Special (Patton Oswalt). Amazon was awarded two victories during the Primetime Emmys, both for “Transparent.” Jeffrey Tambor won Best Comedy Actor, while Jill Soloway won in the Outstanding Directing for a Comedy Series category. Soloway gave credit to the founder of Amazon in her acceptance speech, and offered some high praise. “I want to thank you, my sweet Jeff Bezos, because you changed the world, and you invited me to do this thing that these people call television, but I call a revolution,” said Soloway. Which OTT business will get the most nominations next year?